Friday saw the first ever #ArtsNI meetup for people working in or with arts organisations in Belfast. The initial concept was to create an informal get together which would provide an interesting way to learn about new and existing digital ideas and hear how they worked for others. The Black Box kindly loaned us the use of their café bar and the space really added to the informal atmosphere we had hoped for. After a short tea-break with tea served in beautiful china teacups from Emma Victoria Vintage , we asked Alan Hook from the University of Ulster to tell us about his experiences of Alternate Reality Games. He made references to many projects, two of which really caught my attention – Invisible Belfast an Alternative Reality Game that was created as part of the Belfast Book Festival and Where’s Wally?, created by a UU student. It has certainly whet my appetite to find out more about ARGs and discover if developing a game might be an innovative way to attract more visitors to the www.testdrivetheartsni.org site which I manage. Almost everyone in the room had used Twitter in some shape or form, whether for personal or work related reasons. This made for an already converted audience for Chris Martin from the Grand Opera House to speak to. Chris talked about the Grand Opera House’s Twitter Policy, trending and running Retweet Competitions. There was discussion around how much time people should spending updating Twitter and Facebook and it was agreed by almost the entire room that, as always, there is never enough time. We finished with Melissa Gordon from the Crescent Arts Centre who gave the group a quick run down of how QR Codes worked for her venue. The venue use the codes quite extensively, on tickets, posters, print, internal advertising and on outdoor advertising such as Adshels. Melissa explained her success at getting customers to click through for ticket deals, provided some tips on what we should remember when using a QR Code and showed us cute ideas from around the digital world. As is always the case at these kind of events, the real networking started at the end of the event. We had Marketers questioning Geeks, Arts Managers talking to Designers and Media people talking to Bloggers. Lots of faces were put to lots of names and many new contacts were made. Feedback from the event was excellent and we hope to have another event very soon. 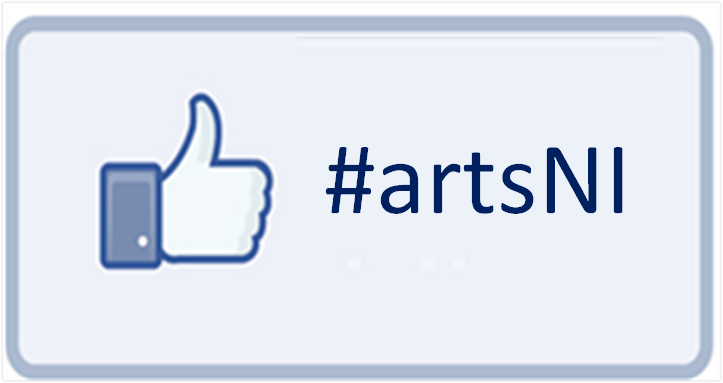 So any ideas, let us know on the Hashtag #ArtsNI and watch this space for news of the next #ArtsNI Event.